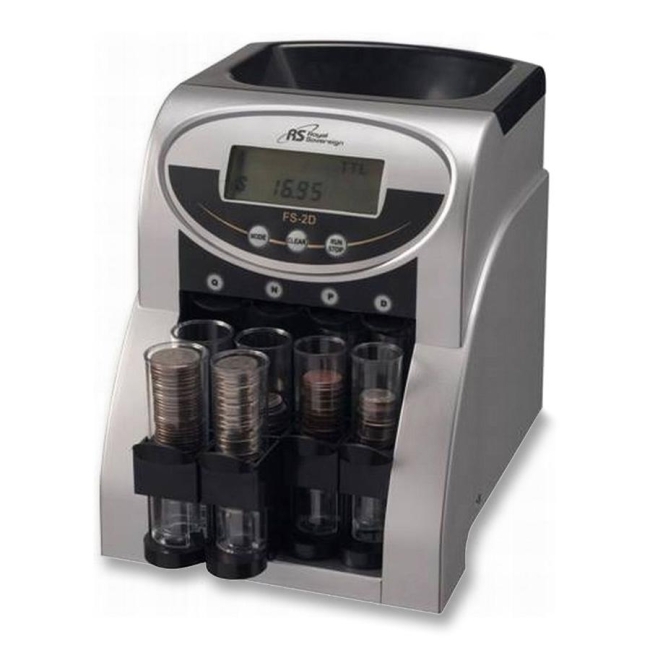 Digital coin sorter features a patented anti-jamming design and sorting capabilities that ensure coins are counted accurately. LCD screen shows the number of coins sorted and the dollar value of the sorted coins. Heavy-duty motor allows up to 312 coins to be sorted per minute. Coin sorter holds up to 400 coins in two rows. UL listed.